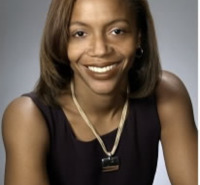 Dr. Tiffany C. Rush-Wilson received a Ph.D. in Counseling at the University of Akron in 2003. During the last 20 years, she has been an administrator, and taught Mental Health Counseling and Psychology courses in land-based and online graduate institutions. Clinically, Dr. Rush-Wilson maintains a small private practice and is independently, and dually, licensed as a Counselor- Supervisor/ Training Supervisor (PCC-S) and as a licensed psychologist (LP) in Ohio. She is also certified as a counselor in Canada (CCC), a Certified Eating Disorder Specialist and a Board Certified TeleMental Health Counselor (BC-TMH) . Dr. Rush-Wilson's research interests focus on diversity and transcultural issues in eating disorders, feminist and multicultural counseling, body language and communication in mental health. She has worked in community mental health, children's services and extensively in private practice. Her current clinical practice has a focus on in-person and telebehavioral/ video sessions. She is a member of both American and Canadian Counseling Associations and the Academy for Eating Disorders, where she is co-chair of the Transcultural Special Interest Group (SIG) and has participated in community outreach. She presents about Women's Issues, scope of practice and eating disorders at local, and regenerative counseling supervision at state, national and international venues. Dr. Rush-Wilson's personal interests include spending time with her family (especially her daughter) and friends, yoga, long distance running, studying languages (French and Spanish), podcasts and travel. She is a huge fan of just about anything medical, including television (documentary, talk show and scripted) and a huge Grey's Anatomy fan. Spadaro, N., Rush-Wilson, T. and Thorton, Rives (2017). A Counseling Skils Primer: 3-Minute Microskills Videos for the Visual Learner.. Kindle DXversion: The Pensiero Press. M. D. Stauffer, Cook, J., Trippany-Simmons, R. & Rush-Wilson, T (2016). The many facets of human development: Spiritual and moral development theories.. In D. Capuzzi & M. D. Stauffer (Ed.) Human development across the life span: Implications for counselors.San Francisco: Wiley & Sons Inc.
Trippany Simmons, R., Rush-Wilson, T., Haizlip, B. (2015). Respecting diversity in an online environment.. In C. Sheperis and R.J. Davis (Ed.) Online Counselor Education: A Guide for StudentsThousand Oaks, CA: Sage. Trippany, R., & Rush-Wilson,T., Patton, J. and Perepiczka (2014). Consultation and Referrals.. In D. Sheperis and J. Watson (Ed.) Clinical Mental Health Counseling: Fundamentals of Applied PracticeUpper Saddle River, NJ: Pearson. Trippany-Simmons, R., Buckley, M., , Meany-Walen, K., & Rush-Wilson, T. (2014). Individual Psychology: Alfred Alder.. In R. Parsons and N. Zhang (Ed.) Counseling Theory: Guiding Reflective PracticeLos Angeles, CA: Sage. Rush-Wilson, T. (2010). Binge/Purge Eating. In S. Goldstein & J. A. Naglieri (Ed.) Encyclopedia of Child Behavior and Development.Heidelberg, Germany: Springer. Scott, S. K., Sheperis, D. S., Trippany Simmons, R., Rush-Wilson, T., & Milo, L. A. (2016). Faith as a cultural variable: Implications for counselor training.. Counseling and Values, 61 (2), 192-205. Nirenberg, M., Trippany Simmons, R., and Rush-Wilson, T (2016). Law Enforcement Officers’ Experiences of Exposure to Trauma. The Alabama Counseling Association Journal, , 55-78. Sadowski, A.D., Rush-Wilson, T. & Trippany Simmons, R (2014). Balancing Work and Family in the 21st Century: Implications for. Sexual Satisfaction among Dual-earning Partners. The Alabama Counseling Association Journal., 39 , 67-79. Reicherzer, S., Coker, K., Rush-Wilson, T., Buckley, M., Cannon, K., Harris, S., & Jorissen, S (2012). Assessing clinical mental health counseling skills and practice standards in distance education.. Counseling Outcome Research and Evaluation, 3 (2), 104-115. Rush-Wilson, T. & Trippany Simmons, R. (2010). Toward an understanding of eating disorders among African American Women: Development of the BEST explanation. Journal of Counseling: Research and Practice, 1 , 5-18. Berwick, A.S. & Trippany, R. L., Rush-Wilson, T. (2010). Complex posttraumatic stress disorder: Diagnostic reconceptualization for childhood sexual abuse survivors.. Journal of Counseling: Research and Practice, 1 , 5-13. I believe that all students have strengths and preferred learning processes. As such, I work with students to identify their baseline knowledge of the broad subject matter, work with them to both satisfy academic/ professional curiosities and enhance their competencies. Students and I collaborate by working one-on-one, or in small groups, to meet learning goal. Working directly with students in this way has the dual benefit of facilitating learning and fostering a healthy learner-instructor relationship. I incorporate technology into the learning process (recordings, video conferencing, telephone) in my efforts to connect. I also use telephone and, because I am fortunate to travel for work, also like to meet my students in person when we are in the same city. To be successful in my class students must be willing to submit work in a timely manner, explain when events arise that may prevent timely submissions, advocate for themselves, share useful/ relevant experience, ask questions (as many as are necessary to foster understanding) and be willing to accept/ incorporate feedback. My goal is truly to help students reach success. My goal as a practitioner of mental health counseling and psychology is to work with clients to identify their goals. Using a mix of cognitive behavioral, multicultural and womanist approaches, clients and I collaboratively create treatment plans and identify timelines for short-term and long-term goals. I believe that the overwhelming majority of people want to live productively and optimally. I also believe that all people can work with a professional mental health practitioner to introspect, develop, process and aspire. Quite frankly, I have always wanted to help people reach their potential. I also have a great appreciation for the need to express, explore and process feelings and reactions to events. Historically, there have been barriers to treatment based in cultural humility for members of who belong to certain disempowered demographic groups (racial and sexual minorities, immigrant people, people with physical differences, cognitive differences, socioeconomically disadvantaged, etc). I am also acutely aware of many similarities that people share regardless of their access to resources and level of privilege. I entered the field of mental health and psychology because accessing the common denominator between people, and supporting them through their problems, concerns and conflicts feels meaningful. Study hard. Believe in yourself. Know that you can do this. It is rewarding and challenging.... and it worth it!